Please contact us with the contact form to report difficulties, strange behaviors or persistent problems, and quote the program name or the number 19433 . 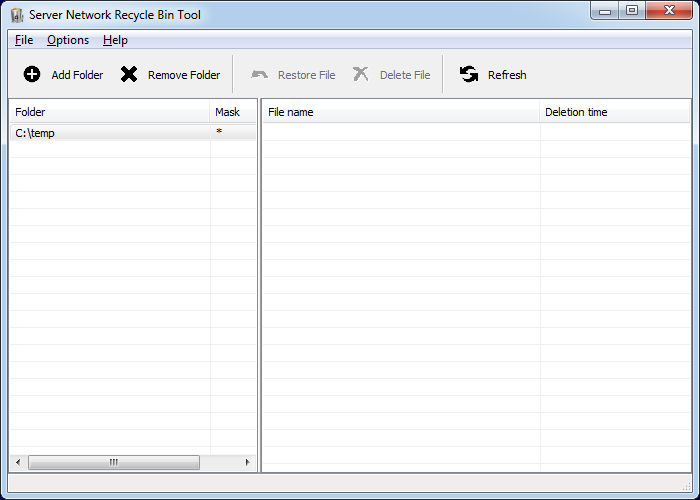 This is the download page for Network Shares Recycle Bin - When you delete a file stored on a network location or mapped network drive that the file is permanently deleted. It does not go to the local computer's recycle bin and does not go to the server's recycle bin. How to enable a recycle bin for shared folders on a network ? There is the proper solution of restoring and securing your information even after deleting it - The Network Shared Recycle Bin allows you to backup and recover deleted files on the server side.